If you’re tired of locking and unlocking your front door or side door by hand, it’s time to consider a smart lock like the one from August, which supports Apple’s HomeKit. 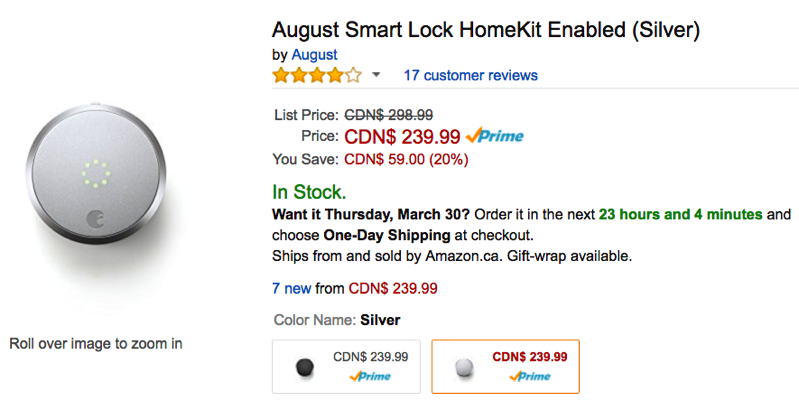 As of today, the August Smart Lock in both silver and black has dropped in price by 20% off, saving you $59, to $239.99, making it the lowest price ever on Amazon.ca (according to price tracker camelcamelcamel). The August Smart Lock turns your iPhone into a smart key to allow you to lock and unlock any door as you approach it. You can control who has access and see an activity log, from anywhere. The unit just attaches to your existing deadbolt and off you go. With support for Apple HomeKit, you can use Siri on your iPhone or iPad to control the August Smart Lock and check its status, plus setup automated scenes. 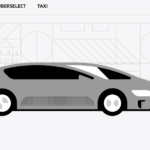 The unit is battery operated and connects via Low Energy Bluetooth with your iPhone. If you’ve been waiting for the August Smart Lock to go on sale, now is the time to get it. Click here to jump on the sale from Amazon.ca while it’s still available.